When a company puts a product on the open market, that product should be safe to use by consumers. That is the message sent by juries across the country to Johnson & Johnson, a manufacturer of the DePuy Hip Implant device. 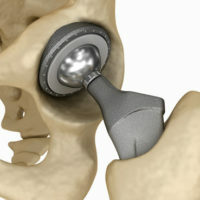 This was a popular metal-on-metal device used by thousands of patients in Jacksonville and across the U.S.
A jury recently awarded six plaintiff’s approximately $247 million in damages determining that the metal-on-metal hip implants were defectively designed and that the companies failed to warn consumers about the serious safety risks, according to Reuters. J & J issued an official recall of DePuy hip implant devices in 2010, but not on all models of the hip replacement device. Instead, DePuy opted to simply stop selling the other hip implant models. J & J continue to claim that they did nothing wrong and that these devices were perfectly safe to use. This is the third multi-million dollar jury verdict against J & J. Back in March of 2016, a jury awarded five plaintiffs in a Texas civil court approximately half a billion dollars in damages. Another jury awarded six California plaintiffs approximately $1 billion in damages. The plaintiffs in the most recent case alleged that the DePuy hip implant device caused tissue death, toxicity, eroding of the hip bone, intense and constant pain, amongst other serious harms and losses. The plaintiffs alleged that J & J falsely promoted the hip implant device by claiming the product had a longer life (being made from metal) than comparable hip implant devices that were made of ceramic or plastic. There are close to 10,000 product liability lawsuits filed by people across the country alleging harms caused by the DePuy Pinnacle and ASR hip devices. Due to the sheer volume of lawsuits filed against J & J, the courts have consolidated the DePuy product liability cases into “multi-district litigation” which basically means a select group of cases will be tried before a jury and the outcomes will influence how the remaining cases are addressed. If you suffered serious side effects after undergoing a hip replacement with a DePuy Pinnacle or ASR device, do not try to take on the corporate behemoths alone. Contact Gillette Law P.A. in Jacksonville today. Our legal team is ready and able to help. Contact our office today to schedule a free, confidential case review.